HAWK signals are used to stop traffic, so pedestrians can cross the street safely. 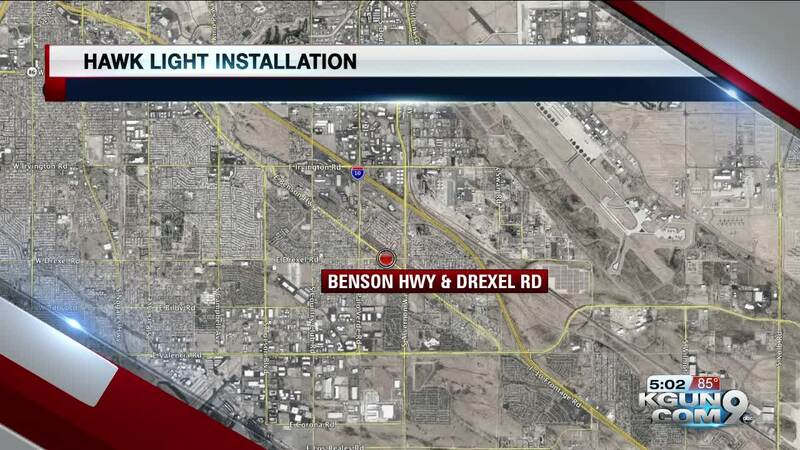 TUCSON, Ariz. — Pima County is installing a HAWK signal at Benson Highway and Drexel road this week. Work will begin on Thursday and will go through Friday, 9 a.m. to 4 p.m. both days. During that time, one lane of travel in each direction will be closed. Drivers are asked to use caution and follow all traffic control devices.